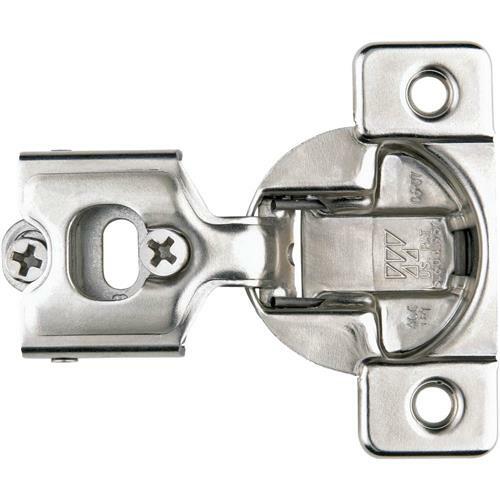 The newest generation of face-frame hinges is 3-way adjustable – all three adjustments made without loosening the hinge. Maximum door thickness is 7/8" (22mm). 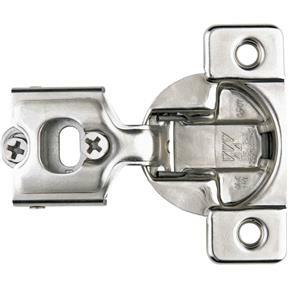 Low hinge profile – minimum protrusion into cabinet opening. Lifetime warranty.